Could Self Driving Cars Lead To More Car Sickness? Could self driving cars lead to more car sickness? Two researchers, Michael Sivak and Brandon Schoettle of the University of Michigan Transportation Research Institute are suggesting that self driving cars could lead to more car sickness among their riders. Car sickness is a type of motion sickness caused by a conflict between what the eyes see and what the inner ear is experiencing. When a person is involved in an activity, say reading a book, while the car is in motion, the person’s eyes are telling the brain that he or she isn’t moving; however the signals received from the inner ear’s balance system are telling the brain something quite different. The conflict between these two signals can lead to sickness; most often nausea and vomiting. That’s why car sickness is most often seen among young children sitting in the back seat of the vehicle. They’re often too small to see out the window and they’re normally involved in other activities such as coloring or reading a book. Their eyes aren’t receiving those signals telling them that they’re in motion but their inner ears are. Many a parent has experienced the frustration of a child, suddenly and with little warning, vomiting all over the back seat. It doesn’t make for a pleasant family trip. The U-M researchers surveyed 3,200 adults in the U.S. and five other countries and asked what kind of activities they would engage in if they were freed of the responsibility of driving in a self driving vehicle. More than a third said they would engage in activities such as reading, playing a game, or watching a video. Those are just the types of activities that could potentially lead to car sickness. Without looking at the road and matching the eye’s signals to the signals coming from the inner ear, the researchers predict that anywhere from six to twelve percent of adults could be expected to suffer the effects of car sickness. Health experts advise that, to prevent car sickness, riders should look out the window and gaze toward the horizon in the direction of travel; doing that will stop that sensory conflict that causes car sickness. For children, along with the obvious safety benefits, another benefit of booster seats is that they help raise the child up to a height where they can more easily look out the window and, hopefully, limit the effects of car sickness. In the first trip of its kind, an autonomous car recently completed a cross country trip from California to New York. The Audi SQ5, modified by Delphi, an automotive supplier, set the record for autonomous vehicles by traveling 3.400 miles in nine days. While Google and others have been openly developing autonomous vehicles, for several years, Delphi had been developing theirs under the radar. Unlike Google, who has plans to build their own autonomous car, Delphi, who manufactures parts for cars, is hoping to develop a system that can fit into any production model. The trip was designed more for gathering data on the capabilities of their autonomous system and the engineers said they gathered nearly three terabytes of data on the trip. However, the journey also served as a marketing tool because the destination was the New York International Auto Show where they hoped to showcase the vehicle. Delphi’s autonomous car differed from the Google vehicle in that it doesn’t have a spinning radar mounted on top of the vehicle. Instead, it used Lidar (laser radar) along with long range and short range radar and cameras embedded throughout the vehicle to watch for hazards and maintain a safe distance from other vehicles. The system was designed to fit seamlessly into a vehicle without any of the obvious features of an autonomous car. The trip was limited to daytime driving and engineers were on board to take over driving if necessary. The engineers did, in fact, take over driving duties in heavy rush hour traffic for the sake of safety. In spite of the engineers taking control at times, Delphi says that the vehicle completed 99 percent of the trip on its own. The autonomous system is designed, in the words of the engineers, to be boring. The system doesn’t allow the vehicle to speed, it always maintains a safe distance from other vehicles, and merges smoothly from freeway on-ramps into traffic. Although the system doesn’t currently allow right turns on red, that can be changed in the future. A few bugs still have to be worked out. The engineers say that the system has a hard time recognizing something as low and subtle as a speed bump. Delphi’s system could lead to the introduction of autonomous car systems even earlier than predicted. Unlike the Google car, which has never ventured outside of California, the Delphi system doesn’t rely on Google maps for directions; instead it depends on the cameras and Lidar to allow it to travel on any road under almost any condition. Read more: We’ve reached our destination! 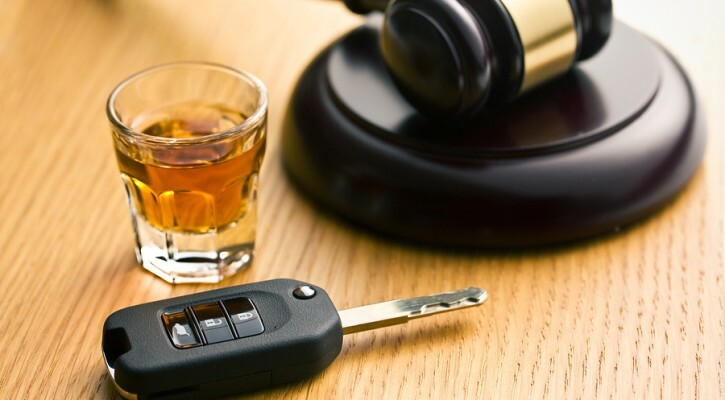 Mothers Against Drunk Driving ( MADD ) has come out in opposition to two bills that are currently under consideration by the Florida legislature. 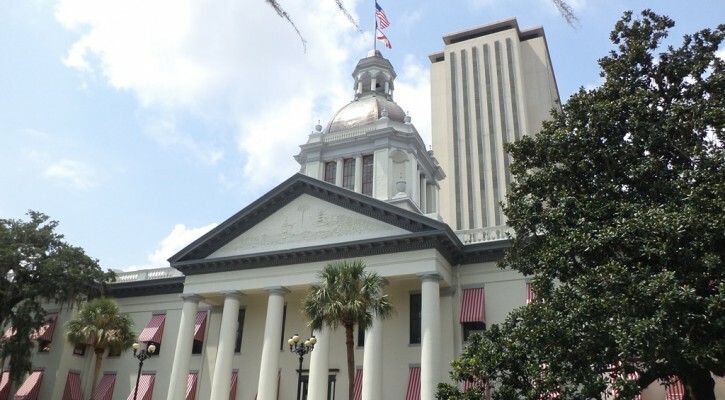 The proposed bills, HB 1117 and SB 1192, if passed, would authorize Florida courts to order a transdermal monitoring device or treatment program in lieu of ignition interlock device for certain DUI offenders. MADD feels that these bills, if passed, would weaken rather than strengthen Florida’s DUI laws. Last year, under the general transportation bill passed and signed by the governor, the Florida legislature gave judges the authority to require ignition interlock systems for certain, first time DUI offenders. Before passage of that bill, interlock devices could only be ordered for someone convicted of a second or subsequent DUI offense. Ignition interlock devices, when installed in a DUI offender’s vehicle, require the driver to blow into a device that measures alcohol content. If alcohol is detected, the vehicle will not start. Transdermal devices are worn by the offender either as a wrist or ankle bracelet and they determine whether or not the wearer has been drinking by measuring the alcohol content in their perspiration. If the presence of alcohol is detected, a signal is sent to law enforcement authorities or parole officers. For anyone who has been ordered by the court to completely abstain from the use of alcohol, the transdermal device is an effective tool for ensuring compliance with the court’s order. MADD’s issue with the bills under question is that the only thing the transdermal device will do is notify authorities that the offender has been drinking; it won’t prevent the offender from driving a vehicle while drunk. If the transdermal device was the only device used, it would require an immediate response from the police or parole officers to find and prevent the offender from getting into a vehicle. That’s not very likely. MADD feels that the transdermal device would be an effective tool along with an ignition interlock device but it should not be an either/or option for the Florida courts. According to the Centers for Disease Control and Prevention (CDC), interlocks have been shown to reduce repeat offenses by 67 percent. States that have all-offender interlock laws in place have seen a reduction in drunk driving deaths of up to 45 percent. Currently, 24 laws have these laws already in place and MADD is pushing for laws in all 50 states to make ignition interlock devices mandatory for all first time DUI offenders. If you agree with MADD that these bills should not be passed contact your Florida State representatives. Several new traffic safety bills are being considered by the Florida legislature’s 2015 session currently underway in Tallahassee. Proposals for new laws and revisions of current traffic safety laws by both the senate and the house are making their way through various committees. These proposed traffic safety bills, if passed and signed into law, will have a significant impact on Florida drivers. Texting while driving – The current law bans texting while driving but it is a secondary offense, meaning that a texting driver can only be issued a ticket for texting if he or she is seen texting while committing another primary offense such as speeding or running a red light. HB1 Would remove the provision that makes texting a secondary offense making it a primary offense, meaning a driver can be stopped and ticketed for texting alone, and would enhance penalties for texting in a school zone or school crossing. Cell Phones – Currently, there are no prohibitions on the use of cell phones while driving for any driver. HB 17 Would prohibit the use of cellular telephones & other electronic communications devices by drivers in school zone or school crossing or on school district property. HB 191 Would prohibit use of cellphones or any other type of mobile telecommunications device (wireless telephone, computer, or other electronic device used to access the facilities of a communications service) by drivers under the age of 18. Vulnerable road users – Last year the legislature passed a law calling for higher penalties for drivers who injure or kill vulnerable road users (pedestrians, cyclists, motorcyclists, horseback riders). Combined S/HB 231 Revises provisions relating to the rights & safety of vulnerable users of public rights-of-way; prohibits assault of bicycle riders; revises provisions for careless driving; provides penalties for specified infractions contributing to bodily injury of vulnerable users. SB 1376 Provides criminal penalties for a person who commits a moving violation that causes serious bodily injury to, or causes the death of, a vulnerable road user; requiring that the person pay a specified fine, serve a minimum period of house arrest, and attend a driver improvement course, etc. Drinking and driving – Current law provides for harsher penalties for a second or subsequent DUI conviction within a 75 year period. Last year the legislature passed a law authorizing judges to require ignition interlock devices for first time DUI offenders. HB-289 and SB 598 – Boating under the influence (BUI) Provides that conviction for BUI be recorded in person’s driving record; provides that convictions for BUI are considered prior convictions for DUI; provides that conviction for BUI be reported to DHSMV; provides that convictions for DUI are considered prior convictions for BUI. HB 1117 and SB 1192 – Authorizes court to order transdermal monitoring device or treatment program in lieu of ignition interlock device. School Buses – Current law in all 50 states require drivers to stop for school buses loading and unloading students. HB 487 Known as “Gabby’s Law for School Bus Stop Safety”; revises penalties for failure to stop vehicle upon approaching school bus that displays stop signal. Non-criminal traffic offenses – Non-criminal traffic offenses normally do not carry the threat of jail. SB 1254 – Would provide criminal penalties for certain noncriminal traffic infractions that cause serious bodily injury or death to a person, etc. A Florida Lawyer recently posted his advice to drivers who encounter DUI checkpoints. His advice; refuse to lower your windows, post a sign that says you will not cooperate, and request a lawyer. His advice has gone viral but is it good advice? Is driver safety being served by his advice? In 2012, the latest year for which there is data, the National Highway Transportation Safety Administration (NHTSA) recorded 10,322 highway deaths, including 239 children under the age of 14, due to drunk driving. That’s thirty-one percent or almost one-third of the total 33,561 traffic deaths in 2012. According to NHTSA, an alcohol related fatality occurred every 51 minutes in 2012. While alcohol fatalities have gone down significantly since the 1980s, they are still too high. According to the Centers for Disease Control and Prevention (CDC), there are approximately 300,000 incidents of drinking and driving on America’s roads each day. 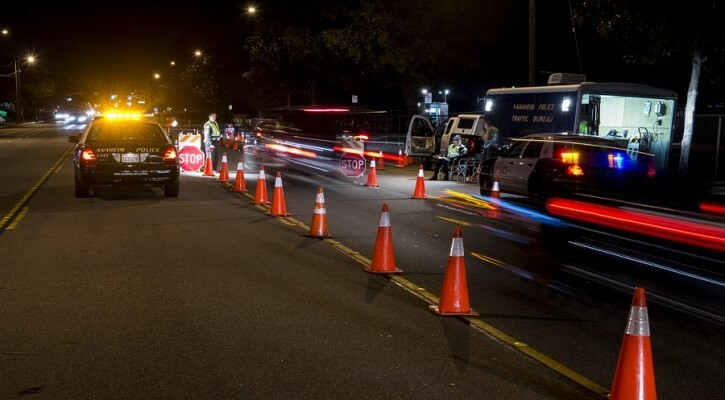 Studies have shown that states and localities with high visibility enforcement, including DUI checkpoints, have a lower number of drunk drivers on the road compared to areas with lower levels of DUI enforcement. Drivers in those areas with high enforcement are less likely to take a chance on drinking and driving if they know there’s a good likelihood that they may be stopped. DUI checkpoints and vigorous enforcement of the laws make the roads safer for everyone. It seems to be a logical conclusion that only those who have been drinking and have a fear of arrest for DUI would feel a need to refuse to cooperate at a DUI checkpoint. Those people are why the DUI checkpoints exist in the first place. 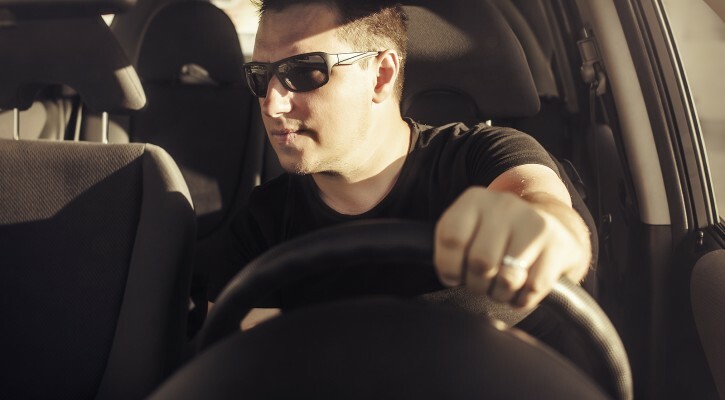 An eye tracking device that follows a driver’s eye movements could be in your driving future. The device, designed to monitor a driver’s eye movements and warn of inattention or driver fatigue can monitor a driver’s eyes, even through sunglasses. Similar eye tracking devices have been talked about for quite a few years now but this one seems to have a track record. Developed by a company called Seeing Machines in Australia, their equipment has been used for some time and is currently installed in up to 4,000 delivery vehicles and heavy mining machines. Their use in mining equipment, it is claimed, has led to a 70 percent decrease in driver fatigue and distraction. For cars, the company has developed a small eye tracking detector designed to fit easily into a car’s dashboard. It’s designed to work in conjunction with advanced driver assistance systems such as automatic braking and lane departure systems. If the system detects that a driver isn’t paying attention to the road or is fatigued, it can give an audible warning or vibrate the seat to bring the driver’s attention back to the road. The company also sees the systems being used in aircraft cockpits and simulators, and working environments where strict attention to computer and machinery consoles is necessary. They list Ford, General Motors, and Toyota as partners so it looks as if the auto industry is actively pursuing this technology for future applications in automobiles. Two proposed bills by Florida lawmakers aim to further limit texting and cellphone use by Florida drivers. One bill seeks to make texting behind the wheel a primary offense. The other bill would prohibit the use of cell phones by drivers under the age of 18. One of the proposed bills sponsored by Rep. Ray Pilon, R-Sarasota and Rep. Richard Stark, D-Weston, would change Florida’s current anti-texting law from a secondary offense to a primary offense and would add enhanced penalties for those drivers caught texting in school zones or school crossing zones. Florida’s current anti-texting bill is a “secondary offense” meaning that a law enforcement officer can only issue a ticket if he or she observes a driver texting while, at the same time, committing a “primary offense” such as speeding or running a red light. As a result, very few tickets have been issued for texting since the law went into effect. 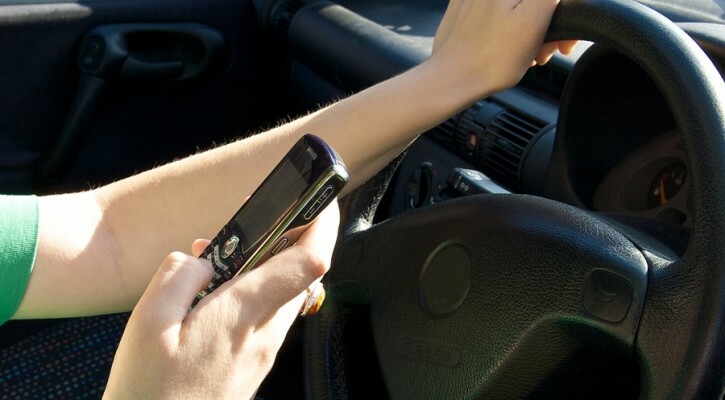 Another of the proposed bills sponsored by Sen. Anitere Flores, R-Miami, would prohibit the use of any type of “mobile telecommunications device” by drivers under the age of 18. Violation of this law would be considered a nonmoving offense. Graduated Driving License Laws (GDL), are laws enacted in most states to gradually introduce teens to the driving environment. These laws are designed to give give teens more driving experience without distractions by limiting the number of passengers they can carry and by prohibiting the use of cell phones etc. Currently, 31 states prohibit use of cell phones by teen drivers. Fifteen more states place some sort of limitation on cell phone use by teens. Currently there are no limits on cell phone use by Florida drivers of any age. Last week, the organization Advocates for Highway Safety, released a state-by-state report card based on state driving safety laws. Florida received a failing grade due to the lack of laws such as those proposed above. Even if these proposed bills were passed, Florida would still have less than half of the laws recommended by the Advocates and their passage would only move Florida from the “red zone” (the State falls dangerously behind in adoption of key safety laws) into the “yellow zone” (the State is advancing but has numerous gaps in its highway safety laws). When it comes to safe driving laws, Florida ranks near the bottom compared with other states according to a report published today by Advocates for Highway and Auto Safety (Advocates). The report ranks states based on fifteen basic driving safety laws, giving points for each law a state has on its books. Green – State is significantly advanced toward adoption of all Advocates’ recommended highway safety laws. 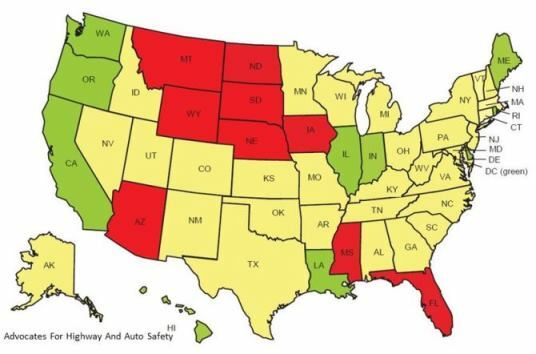 Yellow – State is advancing but has numerous gaps in its highway safety laws. Red – State falls dangerously behind in adoption of key safety laws. 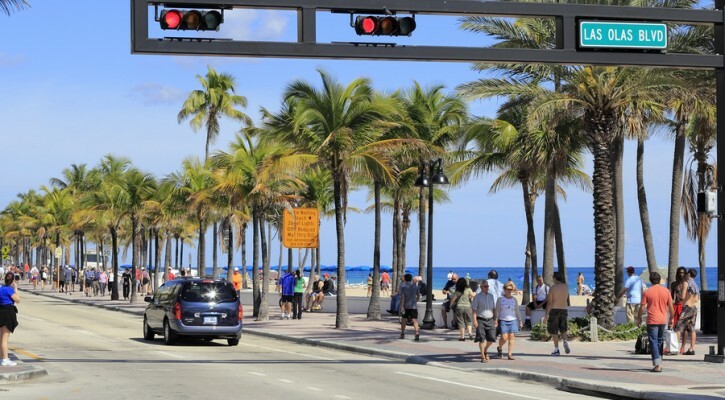 Florida was one of nine states to receive a red score with only six out of the fifteen recommended safe driving laws enacted. This year’s report stresses what the Advocates call “lethal loopholes” in laws that fail to protect drivers and passengers and contribute to preventable deaths and injuries. Lethal loopholes refer to laws that don’t go far enough to protect vehicle occupants or that are “secondary enforcement laws.” For those unfamiliar with secondary enforcement laws, we need to take a moment to explain how they work. A good example of a secondary enforcement law in Florida is the new anti-texting law that took effect in October of 2013. The law, which prohibits drivers from writing, sending, or reading written communications on any wireless communications device, sounds like a good law at first glance however, the law is a secondary enforcement law. That means that a law enforcement officer can’t stop a driver and issue a ticket just for texting alone. The officer must first witness a driver texting while, at the same time, violating a primary enforcement law such as speeding or running a red light before stopping the driver and issuing a ticket. As a result, Florida’s anti-texting law is basically toothless and law enforcement agencies throughout the state report that they have issued very few tickets under this law. Florida’s newly enacted child booster seat law that only requires the use of booster seats for children under the age of five. Adult seat belts don’t fit children properly and the Insurance Institute for Highway Safety (IIHS) recommends that children remain in a booster seat until they are at least 4’9” tall. For the average child, that can be anywhere from 9 to 11 years of age. Effective booster seat laws require the use of a booster seat until the child is either 4’9” tall or 9 years of age. Florida’s seat belt law is a primary law for occupants of the front seat and anyone under the age of 18 no matter where they are seated. However, it doesn’t require the use of seat belts by back seat occupants over the age of 18. Graduated Driver License (GDL) laws are designed to give teen drivers more driving experience without distractions until they have more experience. Effective GDL laws restrict the number of passengers a teen can carry, limit night time driving, and the use of cell phones. Florida’s GDL laws have no restrictions on passengers or the use of cell phones by newly licensed teen drivers. In 2012, Florida came in at third place after Texas and California in the number of highway deaths involving teen drivers. Florida’s motorcycle helmet law allows riders over the age of 21 with at least $10,000 worth of medical insurance coverage to ride without a helmet. Florida, with only 47% of the riders using helmets, led the nation in motorcycle deaths in 2012. The National Transportation Safety Board ( NTSB ) has come out with its list of top safety priorities and, given the nature of the agency’s work, the top pick may be a bit surprising but, for safety experts, it shouldn’t be a surprise at all. The NTSB is the federal agency known by most Americans as the agency that investigates aircraft crashes and, most often without any living witnesses, are tasked with finding the cause of the crash. However, the NTSB’s mission isn’t limited to aircraft incidents. The NTSB’s mission is to ensure the safety of any type of transportation including; aircraft, ships, trains, and motor vehicles. It’s the motor vehicle side side of the NTSB’s work that that is drawing the most attention in this year’s list of top priorities. The top item among their list of safety priorities for 2015 is distracted driving. 3,328 people were killed in distraction-affected crashes in 2012. An estimated 421,000 people were injured in motor vehicle crashes involving a distracted driver, this was a nine percent increase from the estimated 387,000 people injured in 2011. Five seconds is the average time your eyes are off the road while texting. When traveling at 55 mph, that’s enough time to cover the length of a football field blindfolded. To compare; worldwide, there were 459 fatalities as a result of aircraft related incidents in 2013 according to the Geneva-based Bureau of Aircraft Accidents Archives. In 2013 the US had a total of 224 aircraft related fatalities including those aboard the aircraft and people on the ground. If the US had experienced an aircraft related fatality rate equal to the number of distracted driving deaths, people would stop flying. It’s no wonder then that the NTSB needs to place its top priority on the problem of distracted driving.